In Europe and the UK, and in Melbourne, there are large screens in public squares. What’s the difference between showing works there and in a suburban street? 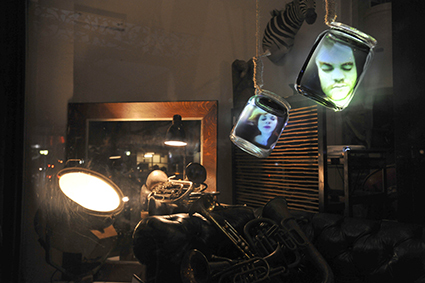 During the festival, is there a sense of Gertrude Street itself being full of light and magic? How much do the works vary in scale and how are sites selected? Are there film and video makers among the festival artists? “Cinematographer Chase Burns submitted a very big work we’re projecting on two sides of the Builders’ Arms Hotel, which is on a corner.” Ortenburg notes that the festival street works do not have sound; “this challenges filmmakers and creators of video installation to create images that can hold an audience without it. That’s always interesting to see because sound is such an important component of film.” Established dance filmmaker Sue Healey is included in the Gertrude Contemporary gallery with her work On View. Just how important is site? What’s an example of a work engaging with a site? How are most works seen?